Bridal shower invitation etiquette is the best way to invite the bride's closest friends and family to share in the celebration of her marriage. Traditionally bridal shower etiquette has the maid of honor or someone from the bridal party will throw a shower for the bride. It has become more accepted for a family member of the bride or groom host one as well. In many cases, the bride has multiple showers thrown for her. 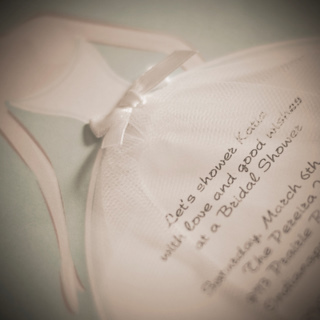 With this being said, bridal shower invitation etiquette will have each person hosting a shower check with the bride (if it is not a surprise) to make sure that people are not invited to multiple showers. The guest lists should include the bride's family, the groom's immediate family, close friends, and co-workers. It is good to send the invitations 3-4 weeks prior to the shower. This will give the guests enough time to plan for travel if needed and to purchase their gifts. Each person on the guest list should receive their own invitation. It is bad invitation etiquette to invite someone to a bridal shower who will not be invited to the wedding. Guests who have been invited show good invitation manners by responding quickly whether they are planning on attending or not. One or two weeks should be plenty of time. This will allow the host of the shower to plan for food as well as make adjustments for a theme based shower. A bridal shower is a fun time to get together with the family and friends that love the bride and groom. It is a great time to make and share memories with the bride and groom. 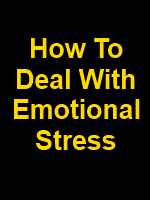 It is a wonderful way to help them get their life together started.